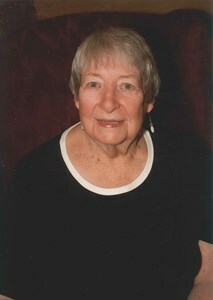 Dorothy June Bruce Beverly, age 93, passed away on March 27, 2019, at Brewster Place in Topeka, Kansas. Dorothy was born in Pierre, South Dakota, June of 1925, to Harold E. and Alta Belle Eckells Bruce. She graduated from Horton Kansas High School in 1943. Upon graduation from the University of Kansas in 1948, she joined the occupational therapy staff at the Menninger Clinic in Topeka. She and World War II combat veteran, George E. Beverly were married on December 10, 1949. They moved to Garden City, Kansas where George worked for Blue Cross Blue Shield of Kansas. After a short time in New Jersey, when George was recalled to active duty during the Korean War, they returned to Topeka and raised a family. She was active with the Girl Scouts, school carnivals, her bridge clubs, water exercise and the sporting events of her grandchildren. She enjoyed arts, crafts, painting and was well known among her friends for her hand-painted cards. She treasured her trips to Hawaii where she collected shells, watched whales and relaxed in the sea breezes.Dorothy retired from The Topeka Association for Retarded Citizens in 1985. She is preceded in death by her spouse George Beverly, her parents, and a sister, Alice May Bruce White. She is survived by two daughters, Georgiana Beverly (Mike Kelly) and Sarajane (Curt) Quall; two grandchildren, Lindsay (Brett) Hothan and Curtis Quall Jr. and two great-grandchildren, Landry Hothan and Briar Hothan. A memorial service will be at 10:00 a.m. on Saturday, March 30, 2019 at Penwell-Gabel - Mid-Town Chapel, 1321 SW 10th Avenue, Topeka. In lieu of flowers, memorial contributions may be made to the Brewster Foundation, 1205 SW 29th St, Topeka, KS 66611 or to the TARC, 3701 SW Randolph Ave., Topeka, KS 66611. Penwell-Gabel Mid-Town is assisting the family. To leave a message online, please click the "Share Memories" button above. Add your memories to the guest book of Dorothy Beverly. Georgiana and Sarah, I am so sorry for your loss. Your Mother was a kind, warm person. She always made everyone feel welcome. I loved her laugh. The video of photos is just perfect. Love the ones with your Dad. You have so many wonderful memories. God Bless you all. Ever since I can remember your family has been an intergal part of our family's life. Both your parents were a big part of my life at a very early age. Countless baseball games and family gatherings. I cherish all those memories. Your mother was a wonderful women. Please accept my deepest sympathy for your loss. Dorothy was my brother’s, Michael Kelly, mother in law. I got to know her at several family events. She was a truly lovely lady and I was very grateful that my brother had such a wonderful woman for his mother in law. May she rest in peace and may her family find solace I knowing she lead a righteous life.